Tito's Taco Toy- This taco has a crunchy, crinkly shell with squeakers in it. It also has velcro detachable innards which also has a squeaker. It's basically all the things Bugsy loves. Chompin' Charlie- A shark with an appetite. This surfboard chomping shark has squeakers in it along with a gnawable surfboard that I know Dexter will want to get his own teeth into. He's weird like that. While Bugsy is all about the toys, Dexter can't wait to get into the treats. He will wait patiently while I take pictures and ignore Bugsy going nuts with squeaky toys. His begging mode is staring. And staring. And staring at me until I finally cave and open up the treats. California Style Lamb and Honey Seaside Snacks- Yup, you guessed it. There's lamb and honey in these treats. No grain or soy, though. They're fairly large treats and not something I would use for regular training (takes too long to eat it) but they'll be perfect for distracting the dogs when we are leaving the house. Who am I kidding? They can't wait to shove us out the door so they can get their treats. I taught them well, I guess... No sign of separation anxiety. Ever. Just treat anxiety. Haha! 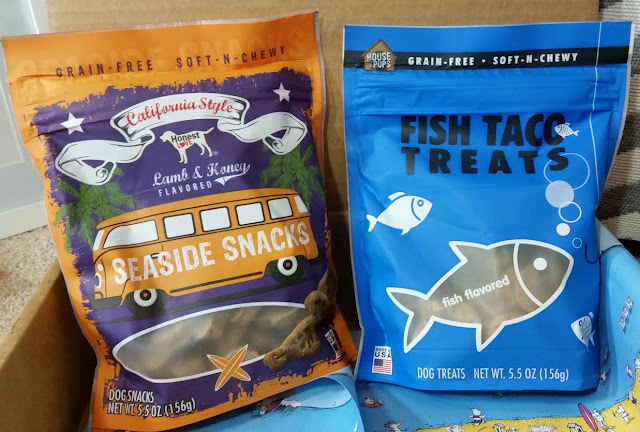 House of Pups Fish Taco Treats- Made in Oklahoma, these are made with whitefish. Bugsy is really weird about fish treats. He doesn't like salmon but he'll eat other kinds of fish (like sardines). How can he even tell what's salmon and what isnt!? 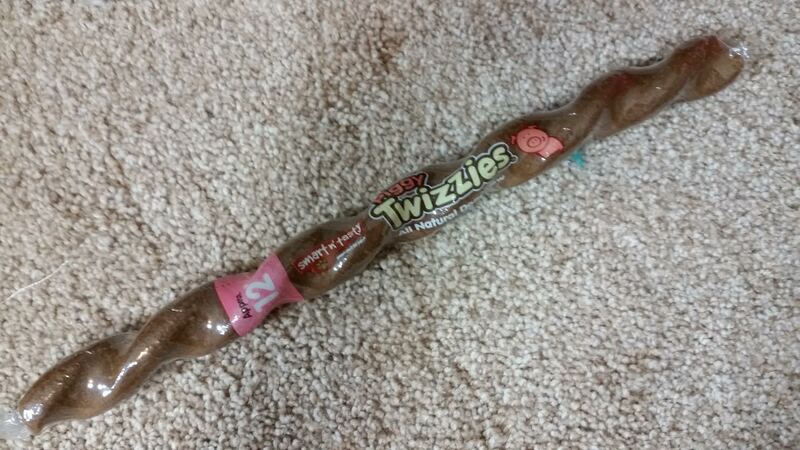 Piggy Twizzies- This might be the biggest piggy twizzle I've ever seen. Luckily it was broken in half when I got it so it was easy to split up. It's huge, though, so now they'll get less dinner. VERDICT: As I mentioned before, I love getting these boxes for the boys. Bugsy now wants to open every box that passes our doorstep, hoping that there are toys and treats in them for him. 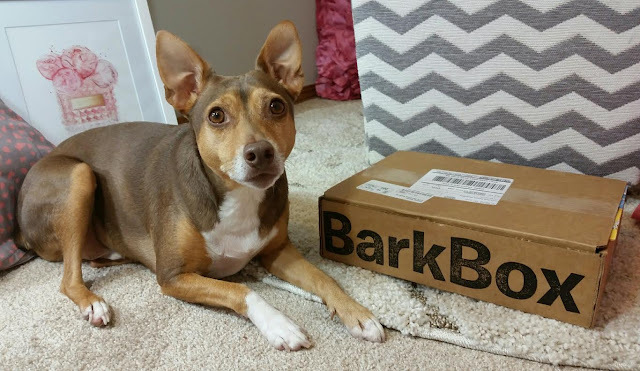 With dog boxes like Barkbox and others, the retail value of the box is right around what you pay for it. 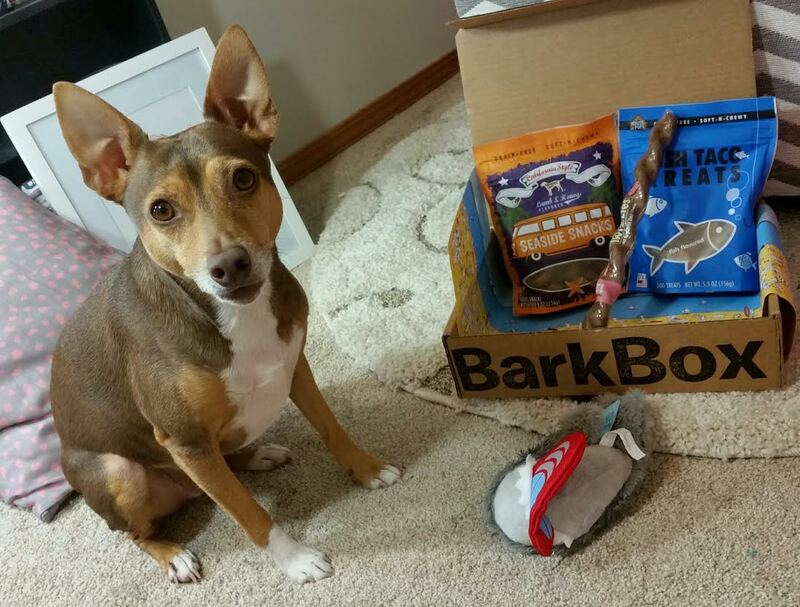 Barkbox has an added benefit in that they make their own toys now so they can add in an extra of some sort and it usually will bump the value over the price paid. If you're on a budget, this may not be the best route to go because you probably could shop sales and get your own toys and treats. But I'm the type of person who would make boring toy choices for my dogs and get the same treats all the time. 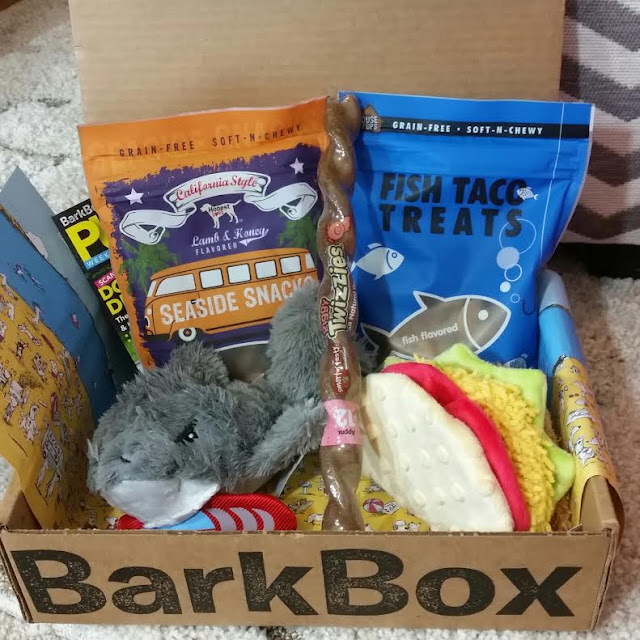 Now, after having received years of boxes, I know my boys love new and interesting toys and will eat all sorts of treats. I know Dexter will go outside and bury salmon skins to unearth later and gross me out (I don't give them to him any more). I know Bugsy has an obsession with balls that bounce. They drive him absolutely insane with happiness. It's been a LOT of fun. If you would like to sign up for Barkbox, you can do that here. Use this link to get a free box added to your subscription. Other boxes for dogs that I recommend are PawPack and Pupjoy. 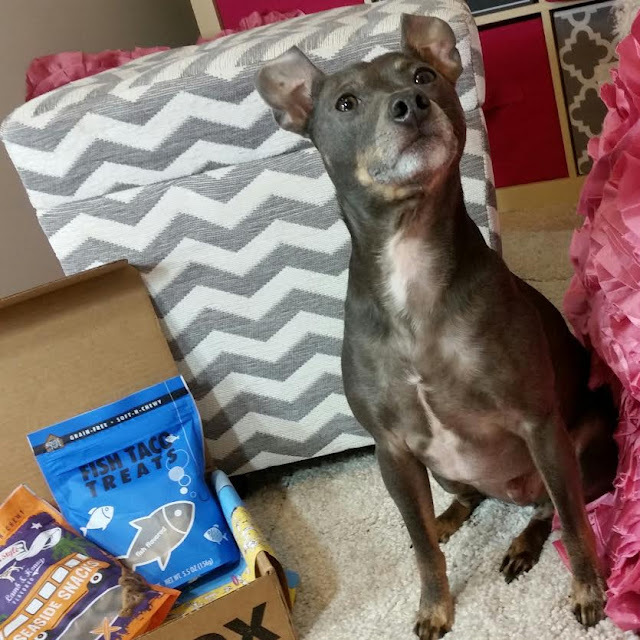 Both have high quality toys and PawPack especially works to send organic and all natural treats as often as possible. 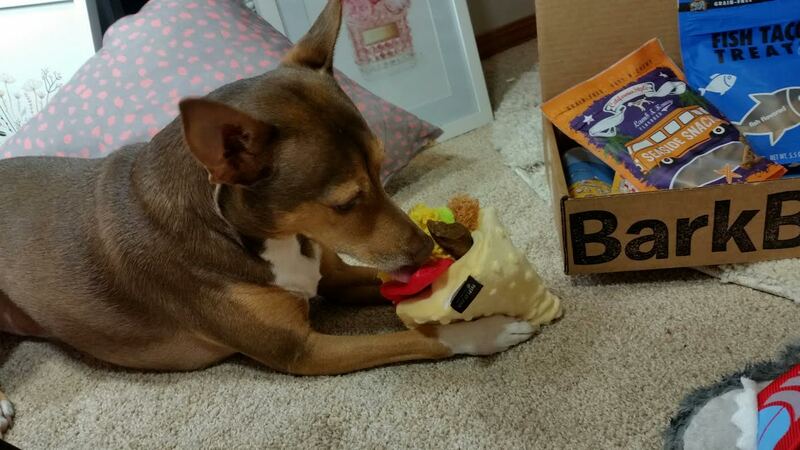 As a sidenote, if you have Destructor Dog and he rips his toys to shreds, Barkbox now has a program that allows you to send in a photo of a destroyed toy and you get some kind of credit. I'm not sure what it is since I haven't done it. If you have, tell me what you got!